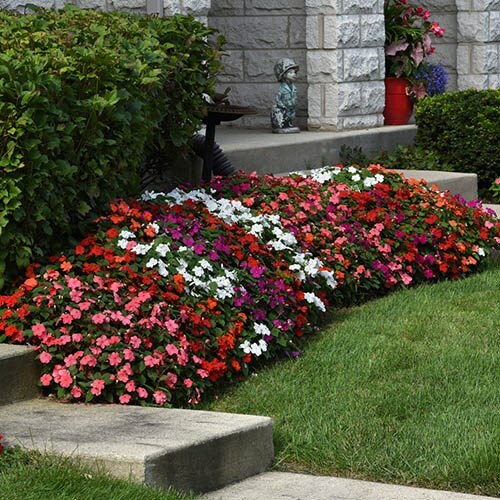 World's first mildew-resistant, true Busy Lizzie! The Busy Lizzie is back! The number-one bedding plant grown in the UK for the last 5-6 years is making a return with a breeding breakthrough! 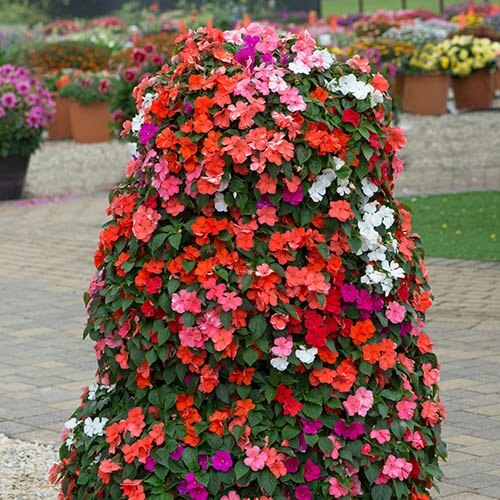 We are extremely excited to be able to bring this lovely bedding plant to our customers - new and improved it's the World's first, mildew-resistant, true Busy Lizzie! 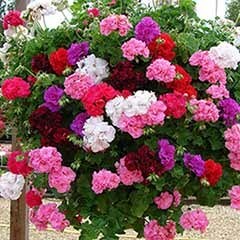 Summer-long flowering, a riot of colour in a gorgeous range of shades. 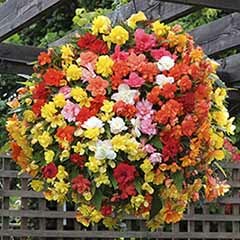 Easy to grow, Imara displayed excellent, garden-worthy performance when trialled. 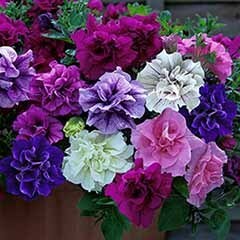 Supplied as 12 Jumbo Plug Plants, all ready for you to grow on and plant out when all risk of frost has passed. The Busy Lizzie is back! 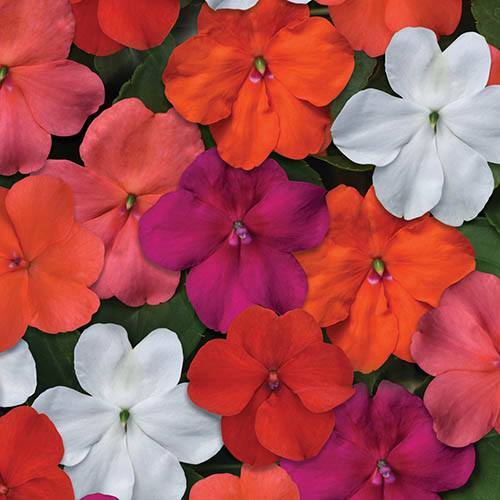 The number-one bedding plant grown in UK for last 5-6 years is making a return with a breeding breakthrough to bring a riot of summer-long colour to your garden. 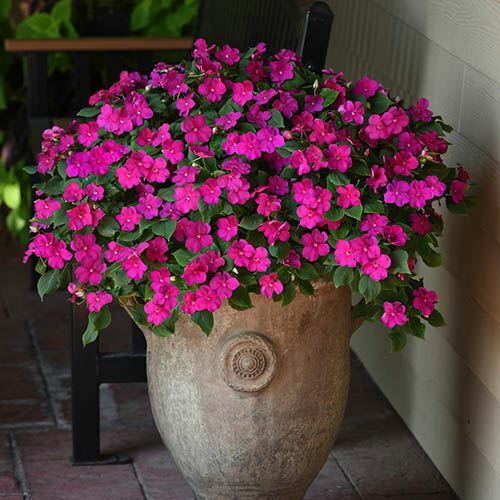 We are extremely excited to be able to bring this Busy Lizzie to you and we're sure you'll be just as keen to have them in your garden where their reliability and proven performance make Imara (R) Impatiens a top choice. 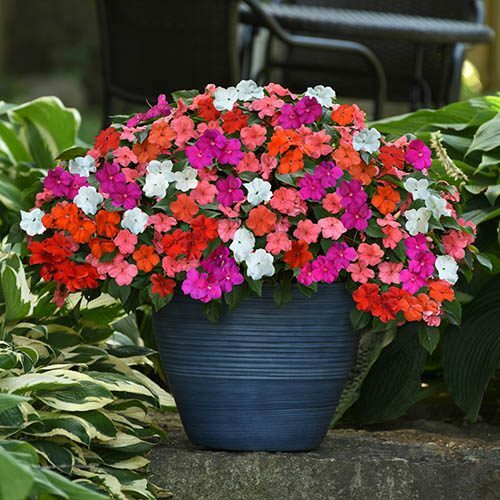 One of the most popular bedding plants, the Imara (R) series of Busy Lizzie (impatiens walleriana) is guaranteed to excel in UK gardens, rain or shine, sun or shade! During intensive, large-scale trialling, Imara (R) out-performed other varieties even when exposed to downy mildew, growing superbly and lasting until the first frosts. 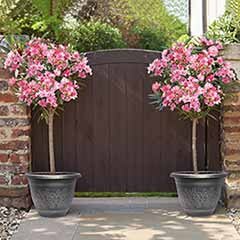 Initial growing trials have shown a natural resistance to downy mildew greater than other Busy Lizzie varieties currently available, and we have been particularly impressed with how well these garden favourites have grown and flowered reliably. 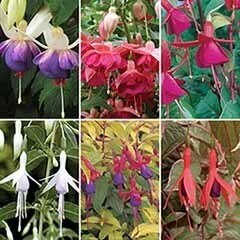 Robust and durable, plants are top performers in the garden with reliable, consistent growth and summer-long flowering in a great range of dazzling colours: white, red, rose, violet, orange, and orange star. 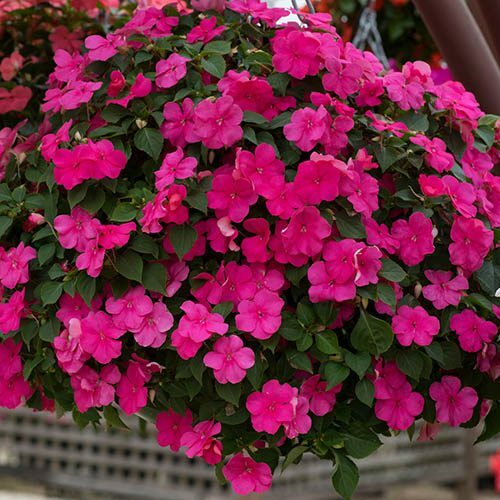 Unlike many other bedding plants, Busy Lizzies will thrive in shade as well as a sunny position and make superb arrangements in both baskets and pots - plus they're a great filler in the flower border, where they quickly plug gaps between plants. 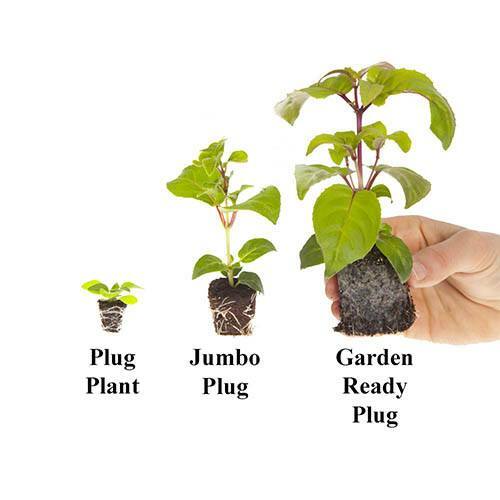 Supplied as 12 Jumbo Plug Plants - ready for you to pot on and plant out when risk of frost has passed. Supplied as 20 Jumbo Plug Plants, ready to pot on and plant out once frost risk has passed. 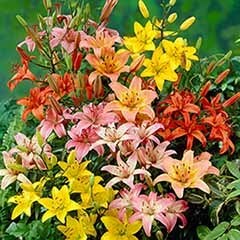 Deadhead faded blooms to prolong flowering. 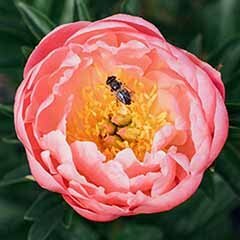 For most jumbo plug plant collections, the “mini Greenhouse” they are packed in will have a label on the outside, listing the individual varieties inside. We recommend writing your own labels out on receipt! Give your plugs a little attention on arrival - unpack them immediately, and either mist them or stand them in water for an hour - they may be slightly dry or yellow after being in a dark box in the post, but they’ll quickly recover. If you can’t do this, they can sit in Mini Greenhouses for a week if upright and not too wet. 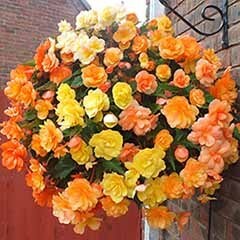 We recommend that you leave them to settle for a day somewhere warm, light and airy such as a windowsill or greenhouse. 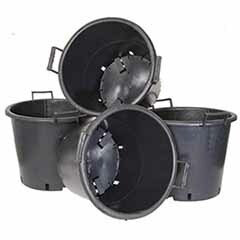 When you're ready to pot on, use a good quality, multi-purpose compost, and fill 3-4in pots (7-10cm). 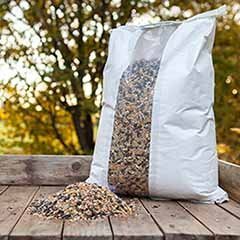 Make a hole in the compost with a dibber or your finger, then holding each plug by its root ball, place it into the hole and gently firm the compost around it. 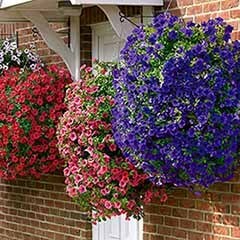 For great results, we recommend using our Windowsill Planters or 9cm pots in Shuttle Trays. 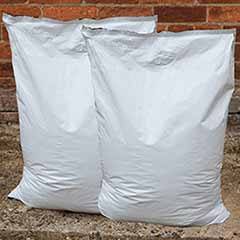 Give your plants a good water initially, then only when the top compost starts to dry as they don’t like to be left in standing water. 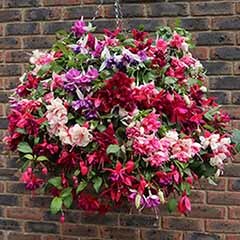 Grow on either on a bright windowsill or a greenhouse for 3-4 weeks before potting up into containers or into flower beds. 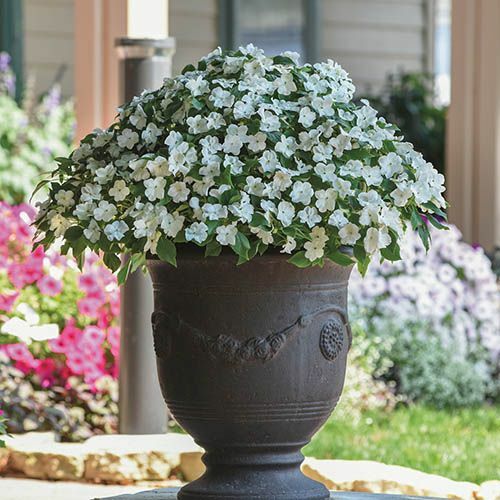 If planting directly into flower beds when all risk of frost has passed, prepare the ground well, removing weeds and digging in some compost or well-rotted manure if your soil is not already rich. Plant approx. 20cm (8”) apart to allow them room to grow. 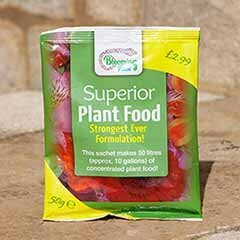 Feed using a high-potash feed such as Blooming Fast Superior Soluble Fertiliser for Flowers & Fruits, to encourage flowering. Dead-head when flowers fade to encourage more blooms.